Get ready for the start of the Tour de France on July 5th. Just in time we’ve got our new Le Tournesol T-shirt design for sale at Apres Velo. The French translation for sunflower seems like an appropriate pun for the race leader’s maillot jaune. 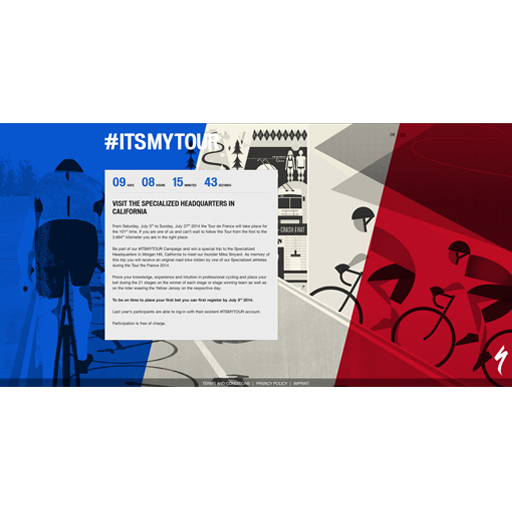 This latest design is a collage of this year’s tour where we’ll see riders traversing cobbled roads, picturesque vineyards, winding mountain climbs, and finally the Arc d’Triomphe in Paris. Available in men’s and women’s sizes. This entry was posted in Buy this and tagged merchandise, promo, Tour de France 2014 on 06/27/2014 by admin.